CarGurus has 21,878 nationwide Suburban listings starting at $1,995. Consumers anxiously await the 2007 Chevrolet Suburban, which has gone through a complete redesign. The look is rumored to be sleeker, and the ride to be softer. It is to be retailed at between about $36,000 and $40,800. Available trims include LS, LT, and LTZ, and are offered in both 2WD and 4WD. Chevrolet has added many safety features, creating a cage-like environment reminiscent of a Volvo. Passengers are surrounded by air bags at all levels, and the vehicle has many roll-over sensors and preventative measure to protect its cargo and occupants. One such measure is a slightly different foundation, which sets the vehicle slightly closer to the ground. 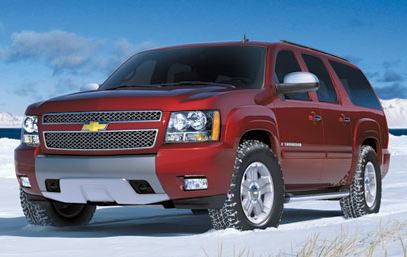 What's your take on the 2007 Chevrolet Suburban? Users ranked 2007 Chevrolet Suburban against other cars which they drove/owned. Each ranking was based on 9 categories. Here is the summary of top rankings. 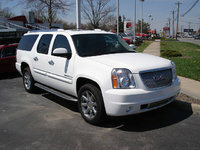 Have you driven a 2007 Chevrolet Suburban? befor i bought the car they change some seal on the engine so im not sure if it that could be . Can You Replace 3rd Row Captain Chairs With A Bench? I'm looking at an 07 Suburban and it has a bench in the middle row with captain chairs in the third row. Can I replace them with a bench?